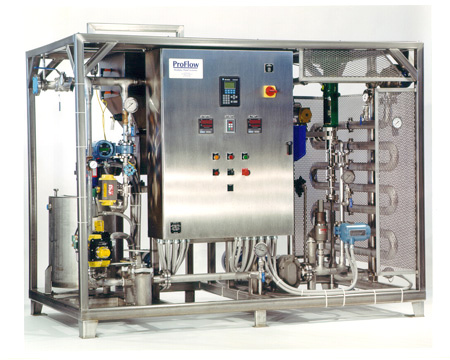 Starch Cookers | ProFlow, Inc.
ProFlow/Q-Jet have been building starch cookers for the paper industry for over 15 years. continuous enzyme conversion starch cookers. Our AWEC series of wet-end cookers are designed to closely control the concentration of starch to the wet-end. With standard sizes to 1200 lb/hr (larger on request) these standard skids fit a wide range of applications. The standard design features a NEMA 4 electrical enclosure, PLC control and a graphical operator interface terminal to closely monitor all process parameters. 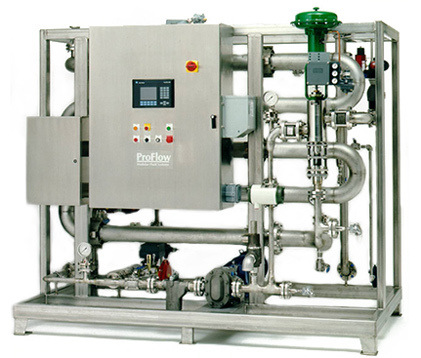 These systems offer the customer a compact design with a stainless steel frame, and piping and are supplied pre-piped, pre-wired and ready to operate. 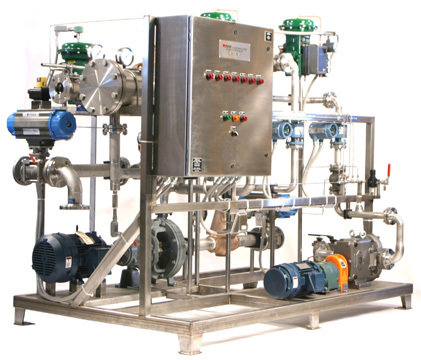 A full range of accessories is available, including tanks, agitators, cooked starch feed pumps/systems and filters. We have extensive experience with on-site startup services. Our service engineers have years of worldwide startup experience.